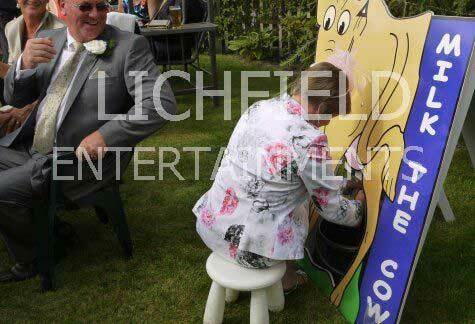 >Milk the Cow is a new addition to our range of fun fair style games. Recommended for ages 7 upwards. Perfect for fayres and fetes or as a funny addition to a wild west themed event. If you have any queries, questions, or would like to book the Milk the Cow game please click here to enquire and we will do all we can to help.